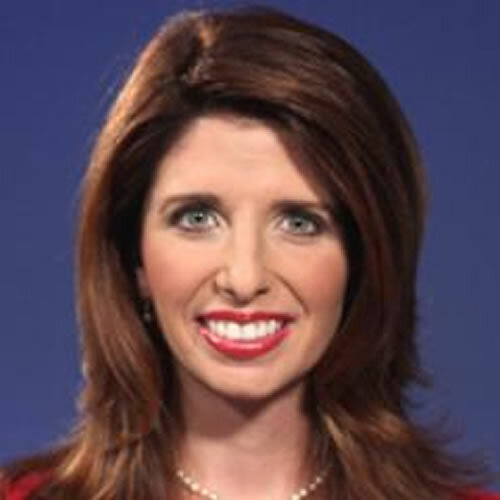 Emmy Award winning anchor and reporter Adrienne Stein comes to Maine from the Sunshine State. Prior to settling into Portland, Adrienne worked as Executive Producer and anchor at a 24-hour cable station in Sarasota. Her career has taken her all over the country. Before working in Florida, Adrienne hit the streets as a reporter and fill-in anchor at the NBC affiliate in Kansas City. She also woke-up before the crack of dawn for three years as a morning anchor and reporter in Jackson, Mississippi. While in Jackson, Adrienne and her co-workers earned an Emmy for their coverage of Hurricane Katrina, and the days following the storm. The St. Louis native attended the University of Missouri School of Journalism in Columbia. Upon graduation, Adrienne anchored the morning news for the University-owned NBC station in Columbia. Adrienne and her family feel right at home in Portland. You’re likely to find Adrienne, her husband and their daughter exploring the hiking and biking trails in the summer and hitting the slopes in the winter. You’ll see Adrienne anchoring weeknights at 5:30, 10 and 11. She is alway looking for unique stories to tell.